Guests continue to score perfect empty waves! Fun all round, with heaps of activities all around the island chain. The little wind swell that keeps on giving. 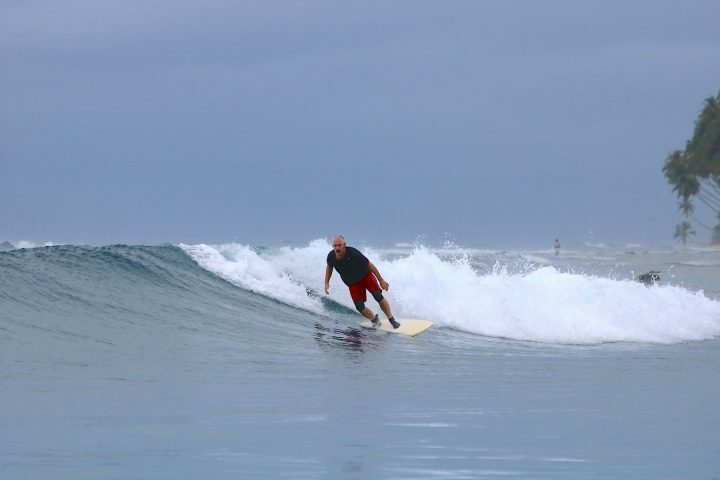 As predicated the swell did drop a bit, but as you can see from the photos, the guests at Resort Latitude Zero continue to score perfect empty waves. As some of you know it is not all about surfing here at our holiday resort. Some guests are taking full advantage of the pristine weather and enjoying some other activities like kayaking between the Telo islands and hoping on an SUP to check out the family of turtles that live out front. It looks like the tap has been shut off in the Indian Ocean, but if this weather continues there is always something to squiggle on around the archipelago. Check back with us in a couple of days.